a Master, a VIP and two Twin cabins. The saloon is generous and offers a comfortable lounge with sofas, coffee table, games table and full entertainmet system. 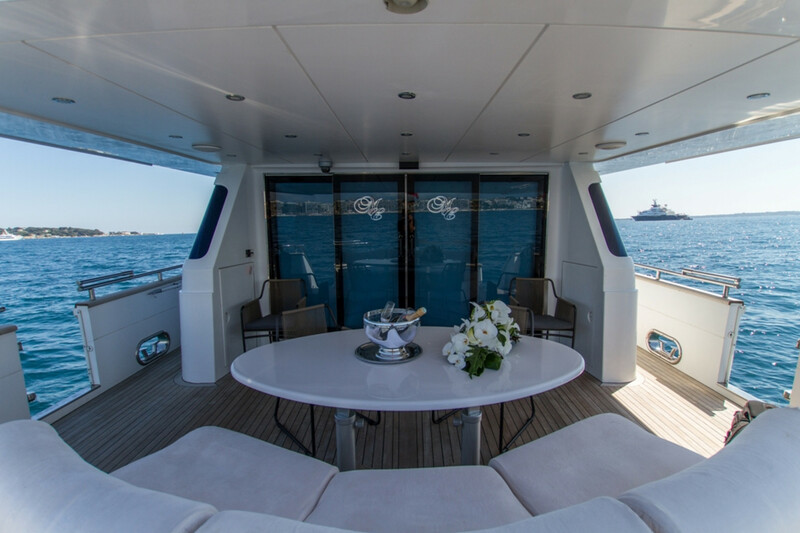 On board the "M/Y Miss Candy" guests will find ample areas to enjoy exterior living. The aft deck is shaded, offering an alfresco dining table and seating. We are looking forward to meeting you on board. French Riviera , Corsica and static charters.